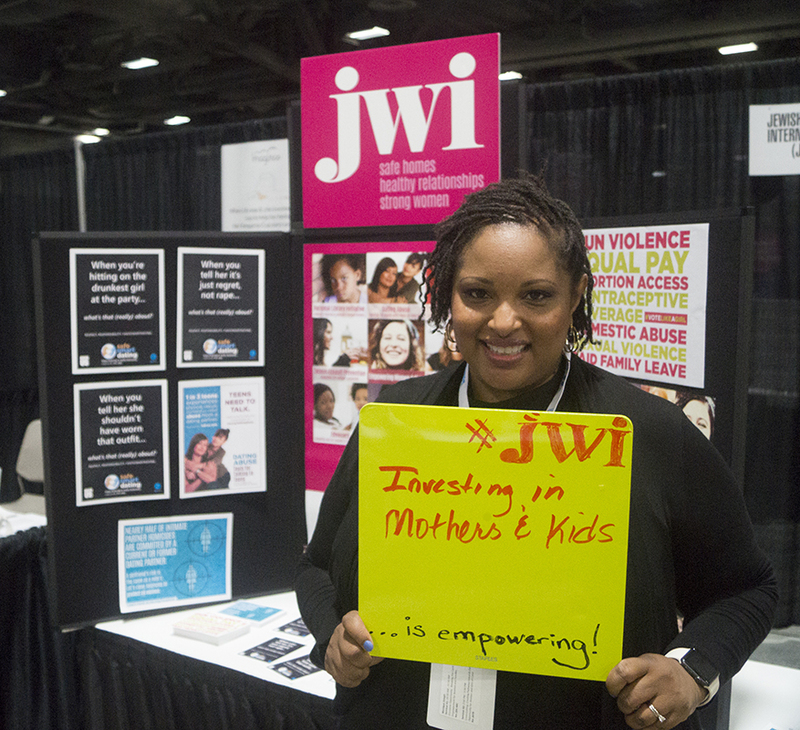 The 2018 USOW Summit is sold out, but you can attend as a guest of JWI! Please fill out this form by 5:00 p.m. on Wednesday, April 18th for a link to register, at no cost, as a JWI supporter. When you register, choose General Admission Ticket (Pre-Paid for Sponsors and Community Partners). One ticket per registration. 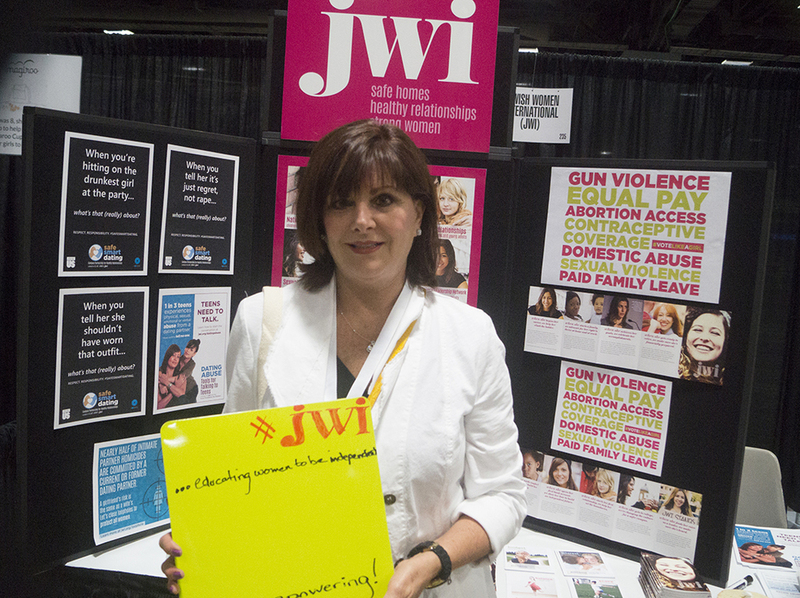 JWI was proud and thrilled to be part of the White House's United State of Women Summit on June 14, 2016, where thousands of change-makers gathered around a pledge to make the world a safer and more equitable place for women to thrive. "I was so excited to be invited to speak at the Summit - equally excited to share the day with friends and colleagues who came together around a common cause: US Women!" The ribbon woven throughout the entire day was clear: these issues are not women's issues, and they are not family issues. They are community issues, they are economic issues, and they are moral issues. When governments and businesses put women at the top and prioritize women, girls, and families, they are more successful. All in one day, to experience insightful and inspiring, energizing, heartfelt and moving words by top leaders, visionaries, change agents in our country and beyond, throughout the day...was exhilarating. A possibly once in a lifetime opportunity to be at an conference with 5000 women, gathering for the United State of women....powerful, authentic voices covering women's issues We have made such progress...and we're not done. 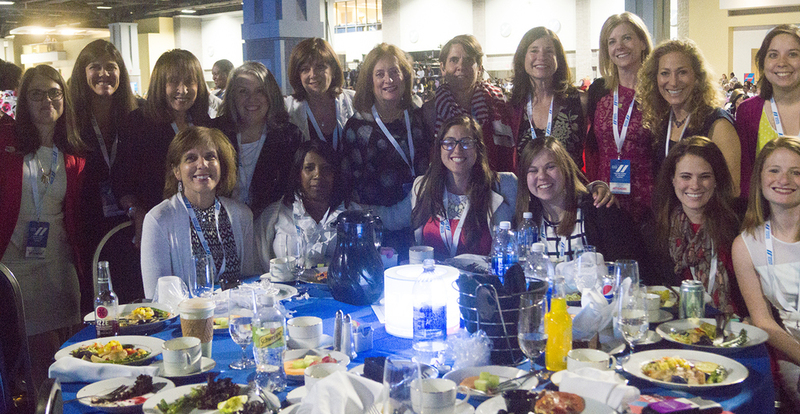 It was a privilege to attend the United State of Women Summit. I have been to countless conferences throughout my career, but this is the first time I have been in a room surrounded by 5,000 passionate, successful and energized women. I was inspired by the messages about the power and importance of women in every walk of life. One quote really stuck with me: “the people who have time to put limits on your life need a lot more to do.” Never let anyone hold you back from following your passions. If you have an idea, pursue it; if you have a goal, make it happen. This Summit highlighted how far women have come, and what a limitless future today's young women have ahead. I thank JWI for the opportunity to have been among the trailblazers at this unprecedented gathering. Sitting in a room of 5,000 feminist activists who are working tirelessly to advance the rights of women was without a doubt inspiring - and that was before the parade of celebrity speakers marched across the stage. Everywhere I turned, someone who had made tangible and historic change was calling us to action. I didn't know if I was more excited to see Amy Poehler, Gloria Steinem, Cecile Richards, or our First Family. Each is using their own success and power to make this world just a bit more equal. Early on Tuesday morning, actress Viola Davis was quoted as asking: "Is it possible that if half the mass of the earth was chained to the ground we could expect the other half to soar to the sky?" For me, this sentiment set the tone of the day. 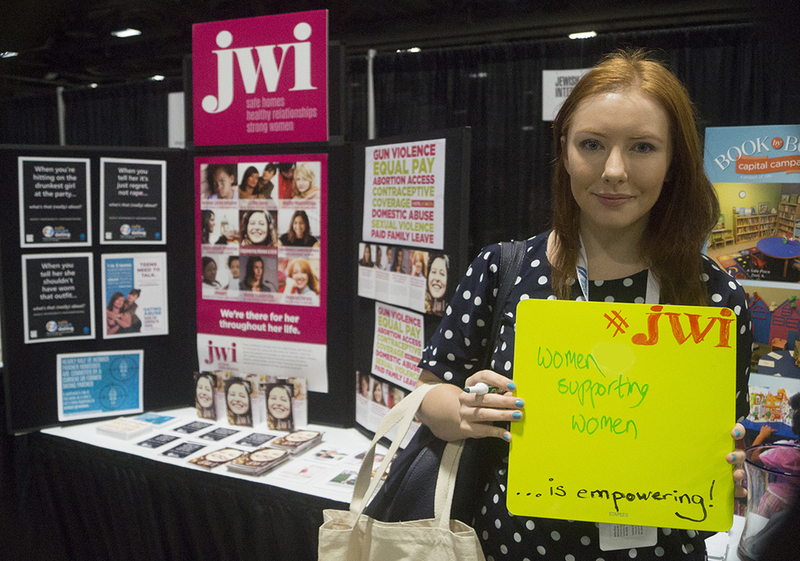 Thanks to JWI for this amazing opportunity! Living in the nation’s capital during the most divisive election of my lifetime, and reeling from the aftermath of the horrific attack in Orlando, meant it would take something extraordinary to make me smile and emerge full of optimism about the United States. 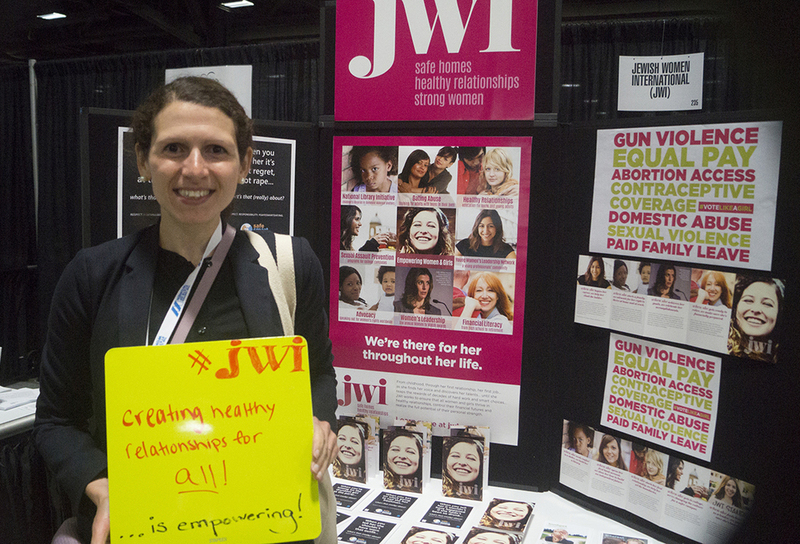 Being part of JWI’s presence at the amazing United States of Women Summit, was just what I needed! The 5000 women there were awe-inspiring!